First, before talking about ROMs is to know what they are and what they are used for. Once you know this, let’s talk about the best. CyanogenMod tops in its own right the list of the best Android ROMs. With more than 10 million active users by the end of 2013, it is one of the most popular and most variant. It supports a long list of devices, which you can consult on your website, and has both stable and experimental versions based on Android KitKat 4.4. In addition, its installation is one of the simplest, and it brings features as interesting as Pie Control (to quickly access any application through a carousel on the main screen) and others that allow you to easily manage superuser permissions. AOKP, or Android Open Kang Project, cannot miss any list of the best Android ROMs, and since its launch, at the end of 2011, its popularity has not stopped growing. It has two types of versions, nocturnal (experimental and published every few days) and milestones (stable and arriving more or less every month). The keys to its success are strong personalization and the possibility of using sliding gestures anywhere, with programmable shortcuts and actions. ParanoidAndroid is not only a song from Radiohead, but also one of the best Android ROMs. It supports various topics within the ROM, with the customizing one of its strengths, and especially highlights the hybrid mode to adapt its interface to any tablet and smartphone, no matter the size of your screen. Thus, we can instantly modify all fonts, colors and other elements. It is especially suitable for devices in the Nexus range and is based on Android 4.4 KitKat. It also highlights especially its Halo design, with striking transparencies. MIUI is an Android ROM whose popularity has exploded when being included by default by the manufacturer Xiaomi, to surpass the 30 million active users recently. It is compatible with an extensive list of devices from various manufacturers, and among its strengths, it highlights its management of SMS and phone calls, enhancement of privacy and custom themes that includes. In addition, for those with difficulties reading texts, you can easily expand the entire font size of the system, and pressing a single button we can clean the Android cache to improve performance. CarbonRom is based on Android Open Source Project and was born from LiquidSmooth, but adding other features present in CyanogenMod and AOKP, among others. Among its features, the applications carousel on the lock screen, customizable shortcuts or the ability to change the settings in points per inch (DPI) of an app that we have installed. The version of Android 4.4 is still in process, yes. When we look for one of the best Android ROMs, we do not always pretend that our terminal does the maximum, but if it has a certain age is able to run the latest versions of Android without a problem. This is precisely the leitmotiv of SlimKat a Slim ROM ( devoid of all unnecessary to optimize performance) based on Android 4.4 KitKat. Of course, this version is still somewhat “green” and is not as polished as its predecessor, Slim Bean (based on Android Jelly Bean). 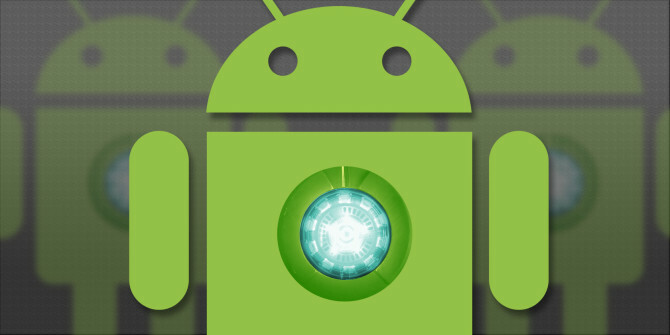 OmniROM has been available for a short time, but it is already one of the best Android ROMs on the market. It is only compatible with just over 20 devices at the moment and emerged as an alternative to other imperatives such as CyanogenMod to actively engage the developer community, relying on the interaction and immediacy of new versions. In fact, its own team ensures that the experimental versions are stable enough to install almost without respite, and thus benefit from new developments as soon as they are available. Thus, it becomes an option to be taken into account by the most restless users.